The loneliness of the long distance traveller. 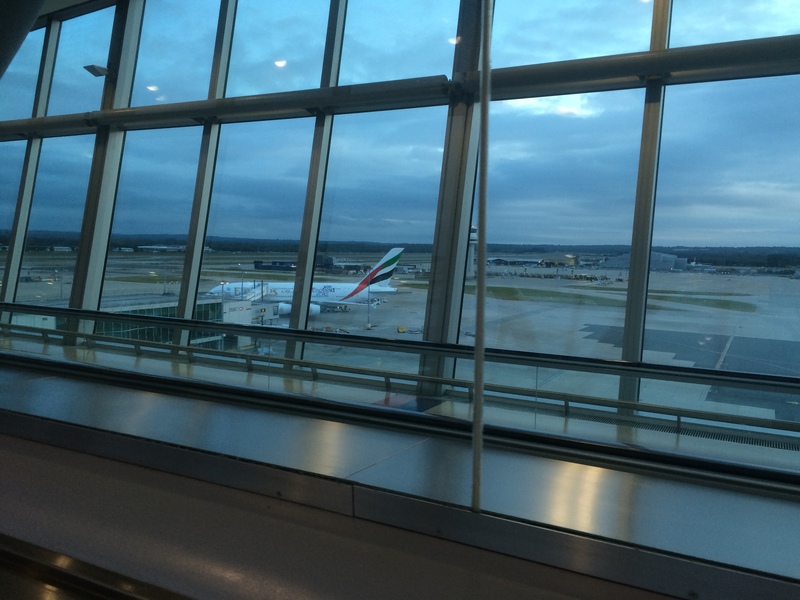 I have just returned to Canberra after the second of my regular working trips to Europe. As a freelancer, one of my biggest concerns about announcing our move to Australia was the reaction of my clients. To calm their nerves about whether the relationship would continue to be workable from Australia, I committed to regular return visits. And, thus far, things seem to be working pretty well. I’ve worked for and with global organisations for most of my career, and I know that, when you work in-house, operating globally is accepted as normal practice these days – I’ve had bosses based in the US, staff in Europe and the US, responsibility for programmes on every continent, and have been lucky enough to travel the world under the guise of ‘working’. But for freelance staff – in my case, as a writer and communications consultant – there’s often a preference for local contacts. In planning our move, I had anticipated and planned for a drop off in my European work, and assumed that, over time, I would need to replace it with more local, Asia-Pacific-based clients. But actually, very little has changed. When I revealed our migration plans to my clients, most responded by asking if I’d still be willing to work for them from afar, pre-empting my own: “but I hope you’ll still allow me to work for you from afar.” And, eight months after our move, with the help of my regular ‘remember me?’ trips, my location is barely worth a mention in our interactions. Previous work and personal recommendations seem to be far more important than where I am based. Separately, I was also invited by a ‘creative writing in business’ training programme that I’ve been involved with, to take a more front-line role developing the programme further and tutoring courses. This time, the centre of gravity for the opportunity is the UK, although there is the possibility of me playing a role in expanding the programme to this part of the world. 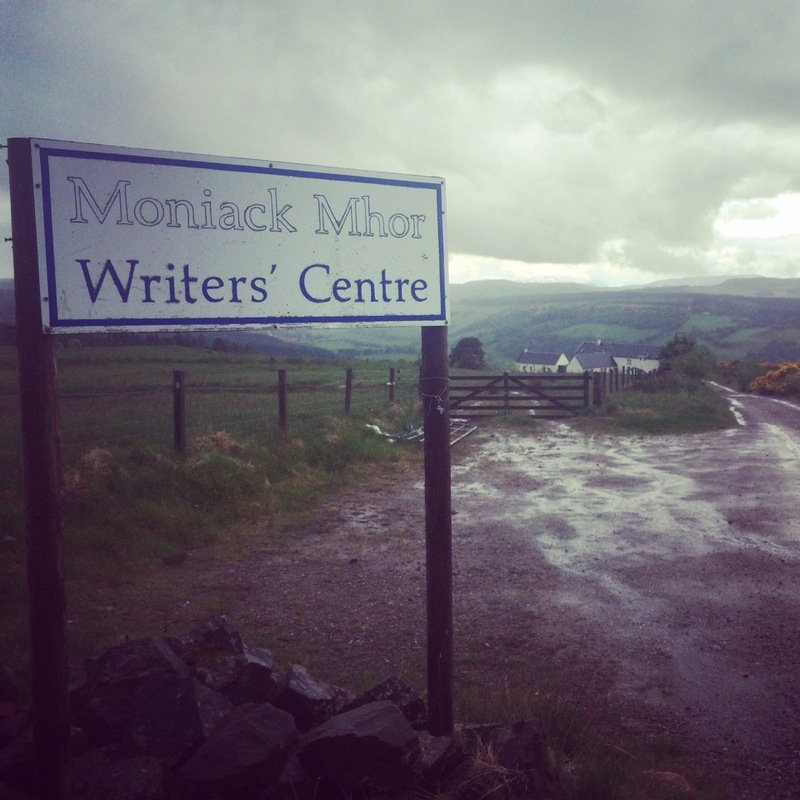 From Canberra to the Scottish Highlands to plan the future of a training programme for writers (Photo courtesy of Neil Baker). Again, location was barely mentioned in discussions about the role. There was much more of the: “We think you’re right for this” and none of the “we really need you to be five minutes down the road.” Both experiences have been heartening and have forced a reassessment of how I think things might work out here – instead of a gradual weaning from European to local work, I now have a much more homogenous, global view of who I work for and how the relationship can operate. Most importantly, this unexpected continuity of work from abroad has allowed us a much softer entry into our new lives than might otherwise have been the case. Instead of feeling like someone who moved to Canberra and disappeared, I feel much more as though Canberra can be a base from which I can maintain a global presence. And my regular ‘client contact’ trips are the relatively inexpensive glue that helps everything stick together. You can read more about the Dark Angels writing programme and how I came to be involved on the blogs of John Simmons and Jamie Jauncey. Having met you in Scotland, I’m inspired to travel more. You clearly have a global perspective, which I think your clients will find increasingly valuable. Thanks Neil. It was great to meet you too. Sitting back here in Canberra, writing some text for a Danish pharmaceutical company before considering an assignment from a UK university, it still amazes me how easy these things have become. It does daunt people when you first introduce the idea but I think many more people than I first realised are quite at ease with it all. Indeed. Sitting here in Kent, I’m just off a video call with an agency in Singapore who want me to write a piece for a global client based in the US. One of the great things about a writing business: get an iPhone, MacBook, Moleskine and some pencils – and suddenly you can serve anyone in the world. And Skype – Skype was the grandfather of all of this, making it not only possible but affordable too. Good luck with the call. Hope they appreciate your talents.